An older picture of West Ford at the Mount Vernon Plantation. 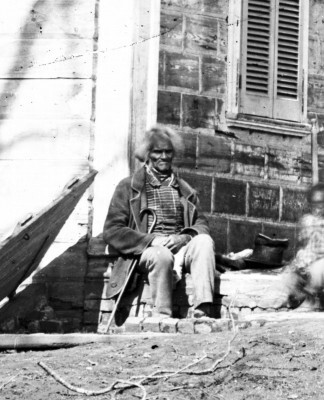 Though Ford was free at the time this photo was taken, the legacy of slavery in all it's complications has left its mark deep in the roots of this country. Photo from the Mount Vernon Plantation archives.